Did you know poor Motor Skills Development can Impact your Child’s Learning? In my previous post “What are Gross Motor Skills and Why are They Important?”, I talked about the importance of motor skills, especially in those early years when your child’s brain is developing at warp speed. But, what exactly is the link between motor skills development, your child’s learning and their ability to read and write? I’m going to introduce you to a part of the brain that is pretty essential in this. Read on to find out more…..
You’ve probably heard about left and right sides (hemispheres) of the brain and how the left side is responsible for more logical and analytical thinking whereas the right side is the more creative and artistic side. It’s obviously far more complex than that though. As Dr. Sarah Mckay, a Oxford University trained Neurologist points out in her article The Myth of the Creative-right vs Analytical-left brain:debunked. “…this simplistic right-brained vs left-brained view of how the brain works is not grounded in evidence! …Speech and language, for example, are found in the left hemisphere, but not ALL aspects of speech are left-sided. Intonation, for example, is found on the right. 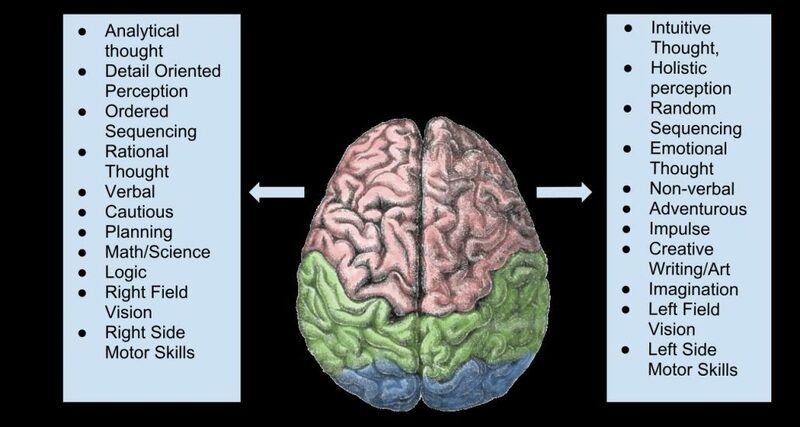 It is now widely accepted that both sides of the brain are necessary to perform most tasks, they just handle them a bit differently. There’s no debate however that the left side of the brain controls the movement of the right side of the body and the right side of the brain controls the movement of the left side of the body. And the part of the brain that links the two sides is called the Corpus Callosum. Check out this DTI image of the structure below, it’s highlighted in orange. It’s a massive bundle of nerve cells and acts a bit like a major highway of ‘communication’ between the left and right sides of the brain. It starts to develop around the 12 weeks stage of human gestation and continues to develop after birth. 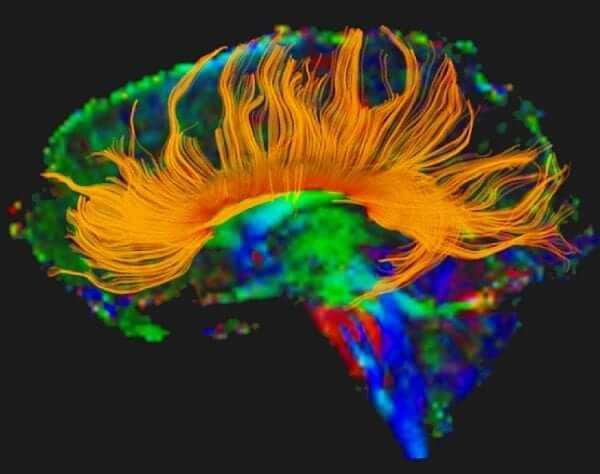 This connection between the two sides of the brain is essential for all functions that require integration between the two sides of the body. That list of functions is pretty huge if you think about it!!! Right from getting out of bed at the start of the day, both sides of the body are involved in most movements we do. From a school learning perspective, reading a book where your child’s eyes scan from left to right across a page or writing words across a page. Using scissors to hold the paper and cut with the other hand, playing a musical instrument or playing sports. They all require both left and right sides of the brain to be communicating in a coordinated way. 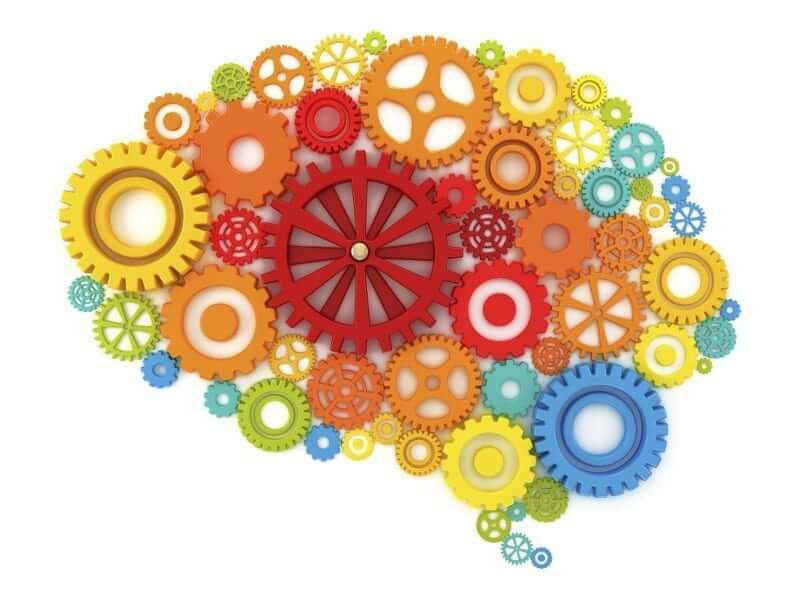 As each side of the brain has sensory and motor control of the opposite side of the body. 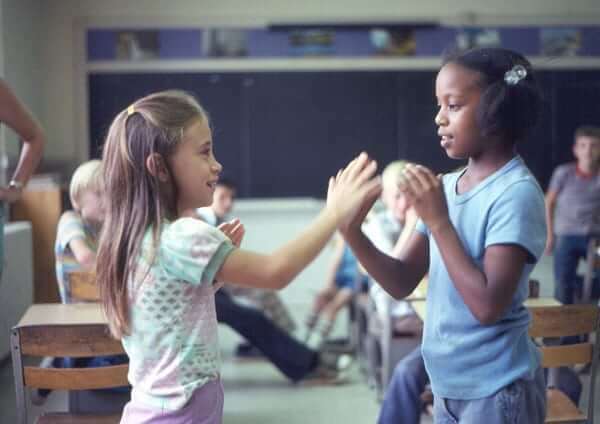 Moving both sides of the body at the same time in a rhythmical fashion will fire up the Corpus Callosum and boost connections between the two sides of the brain. And the more you do these activities, the more effective and long lasting the nerve connections will be. Have you ever noticed that when you go for a walk, you have much more clarity of thought? I know I do! The change in habits of our children today are resulting in this connection between left and right brain being under developed. This is causing problems for children entering the school system. It’s not all doom and gloom though. There are certain movements that you can do to supercharge development of the Corpus Callosum and the earlier these are done in a child’s life, the better! A baby’s crawling movements activate both hemispheres in a balanced way and is a great example of bi-lateral coordination. That’s why the crawling stage is so important in brain development, don’t rush for your child to be on their feet too early. Both sides of the body move at the same time completing alternating patterns of movement with arms and legs. Riding a bike, walking, running, climbing are all other examples. When children are sitting on a seat playing with an electronic device, they don’t do this and the brain connections between the two hemispheres aren’t stimulated anywhere near as much. Crossing the mid line is the movement of one side of the body across the body’s centre line to the other side. Activities like swinging a bat, kicking a ball, hand clapping games, touching elbow to alternate knee are all examples of this. Again, during these activities the brain sends signals backward and forwards from one side of the brain to the other repeatedly, strengthening the link between them. 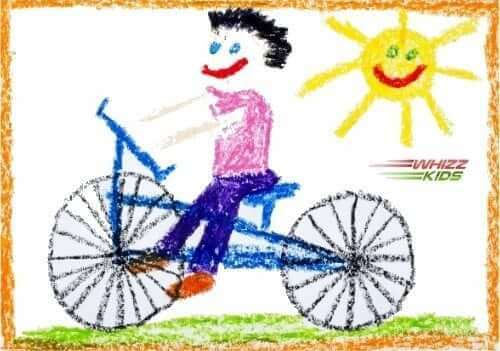 That’s why I’m so keen to promote ride-on vehicles such as Trikes and Balance Bikes that allow young children from the age of 1 year and up to repeatedly practice bi-lateral coordination and get those Corpus Callosum nerves firing from an early age! Other ride-on vehicles like Wishbone Flip and Mini Flips encourage exactly the same development. What activities do you do to get the Corpus Callosum firing? 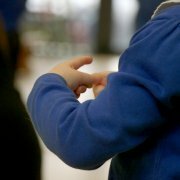 If you want to get regular updates on activities that you can do at home to boost motor skills or receive specialised discounts on our products, sign up to our newsletter. https://whizzkids-toys.co.uk/wp-content/uploads/2018/04/Brain-Cog-Image-web1.jpg 600 800 Kes Reid https://whizzkids-toys.co.uk/wp-content/uploads/2018/01/Full_Logo_White_Whizz_Kids_Toys-300x51.png Kes Reid2018-02-26 17:59:302018-10-29 09:48:11Did you know poor Motor Skills Development can Impact your Child's Learning? What are Gross Motor Skills and Why are they Important? 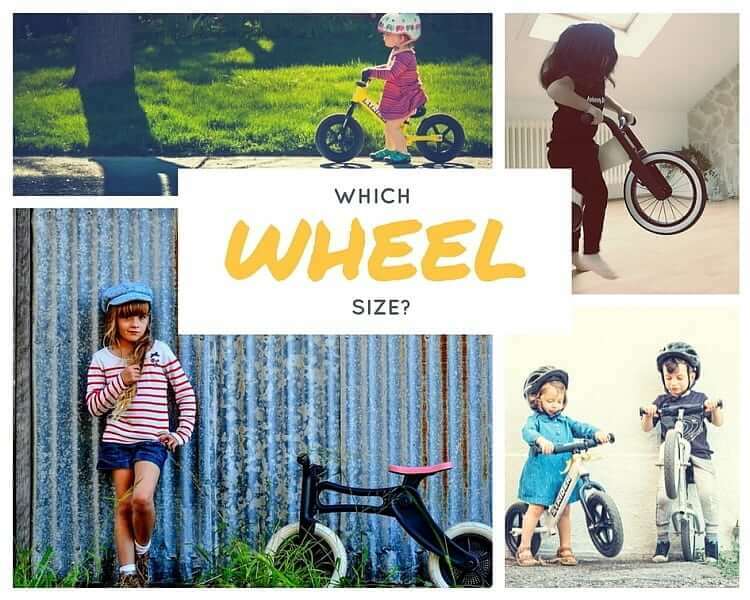 Which Bike Size Should I Buy?